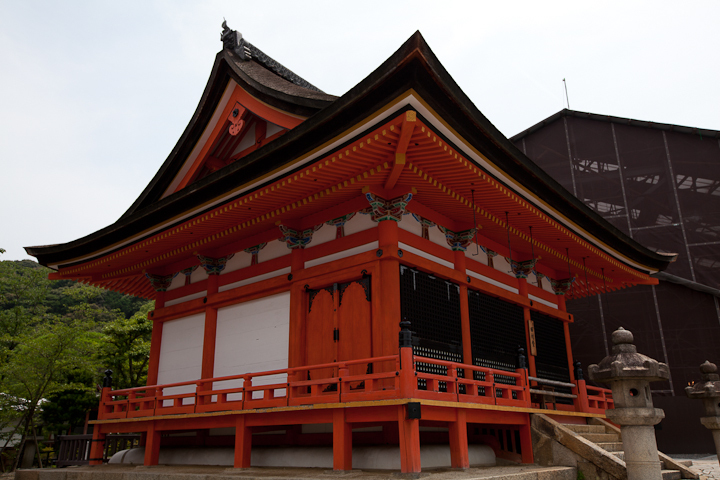 Kyoto was the capital of Japan for a while, and is a fascinating city seeped in tradition. My favorite parts of the city are the red pagodas and temples. 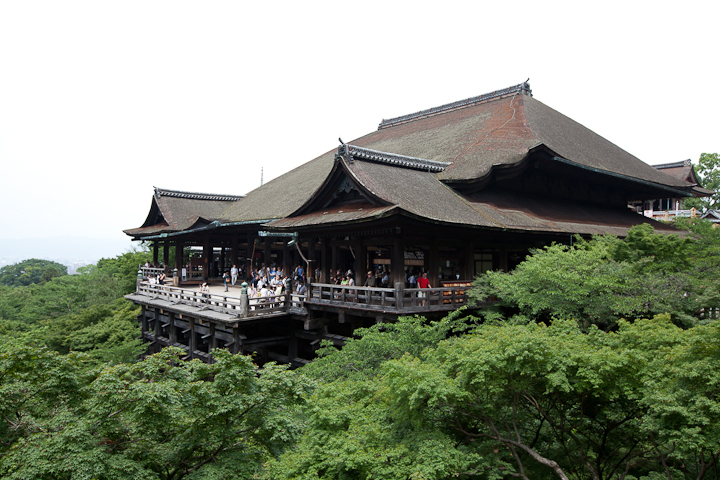 Our bus took us to Kiyomizu Temple first, which has a large Buddhist temple built into the side of a mountain. It also has the Otowa waterfall where you can drink from streams to increase your wisdom, health, and longevity. You can only choose two, because if you drink from all three, you’re greedy and will just have bad luck. 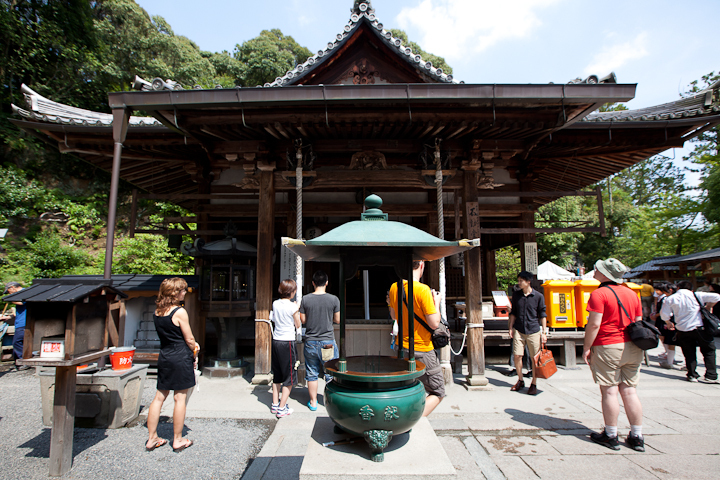 There’s also the Jinsu shrine, where you walk with your eyes closed between two rocks. If you make it to the second rock, you’ll find true love. 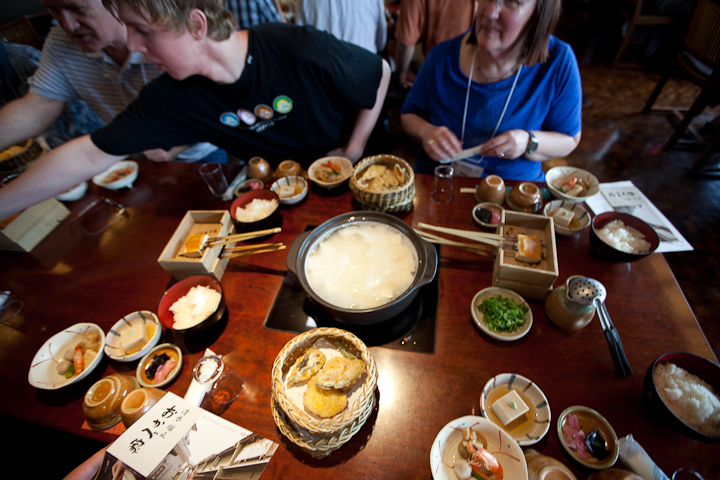 For lunch we went to the Tofu Resteraunt, Okabeya, where we had hot tofu and a bunch of side dishes. It was nice trying new things, but a bunch of us dashed off to eat crepes right after. Me and Dave split one that had blueberry cheesecake in it. No ice cream in it though 🙁 On the way back to the bus, I found a Miyuzaki and Domokun store (seriously, that’s all it had), which made me super super giddy. 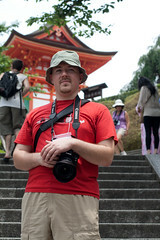 Walking around Kinkaku-ji to see the Golden Temple was pretty awesome. 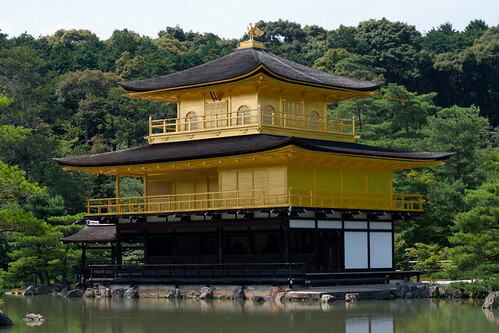 It’s a zen Buddhist temple built in 1397, whose top two stories are covered in gold leaf. There was a really nice garden walk on the temple grounds. 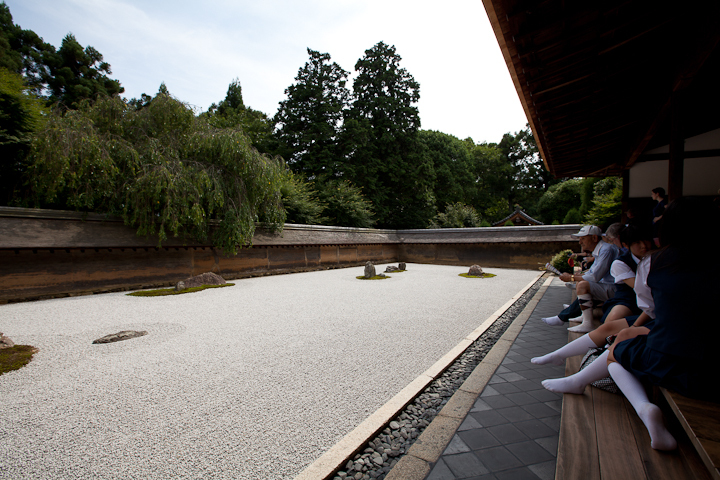 After that, we went to another Buddhist temple, Ryōan-ji, and checked out their rock garden. Afterwards, me, Dave, Matt, and their parents went hunting for some curry. We eventually found a place that we thought had it, but it ended up being something else. It was tasty though. It was their first time ordering food from a vending machine, having the kitchen cook it, and bring it to them. 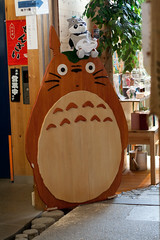 Then, Dave, Matthew and I went hunting for Cat’s Time, a famous cat cafe in Osaka. We walked and eventually found it, but it was 9:30p and they were closing soon. We got to pet a couple cats though, and the place was adorable. We stopped at a grocery store on the way back (no Tokyo-X, sorry Erin). By the time we got home, our feet were throbbing and exhausted. 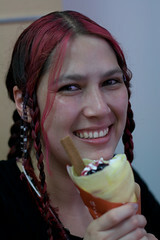 Photos in this post by David Mertl and Pinguino.